Resumes and cover letters alone won't get you a job; rather, they'll help you win an interview. Here is comprehensive information that will guide you through the process of writing a targeted resume and cover letter. What should you communicate on a resume versus a cover letter? Before you begin, review the key differences between the two and information on what each should focus on. Below, you'll find step-by-step information on how to create your resume, along with formatting tips and insight into which words to use, and which words to avoid. 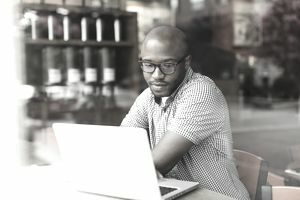 The guide also features techniques for writing cover letters that showcase your accomplishments and form a clear connection between your experience and the position you are applying for. If you follow these steps, you'll increase your chances of securing job interviews. Before delving into writing a resume, ask yourself some basic questions that will shape your direction. Are you seeking an entry-level job? Are you re-entering the workforce after a lengthy time off? Do you need to refresh and update your current resume? The first step to writing an eye-catching resume is determining what you're trying to accomplish. While you might not include an "Objective" section on your resume, write one just for yourself to serve as a guiding principle for your overall resume. Build your own professional resume quickly and easily with this step-by-step guide. It will help you through every step of the resume writing process. A resume includes information on your education, work history, and skills. Get started writing your resume by creating a list of your accomplishments in each job that you have held. From there, you can decide which details are most important to highlight and work on phrasing information in a way that will get the attention of both hiring managers and searchable databases. These resume writing techniques will help you write an interview-winning resume. There are power words you can use to enhance your resume, and there are others that won't make a good impression. Write your resume so it focuses on the attributes that best qualify you for the job. You may simply read the resume sample below or download the Word template by clicking on the link. Also see below for more examples. Highly organized and engaging School Librarian and Information Specialist experienced in instructing and mentoring students in the use of library resources including instructional media and educational technology. Partner well with teachers and staff to plan cooperative lessons and class activities, identify curricular needs, and order new library materials. Fluent in written and spoken English and Spanish. Optimize library programs for multiple public elementary schools. Plan and implement library media programs, supporting students in the use of print and digital materials. Ensure available library resources comply with school district’s curriculum standards. Developed highly successful visiting children’s author program and after-school book groups. Coordinated Scholastic book fairs and other fundraising events that raised over $10K earmarked for new book and media purchases. Concurrent with graduate education, supported children and adult patrons of public library. Helped with book location and selection, shelved materials, and assisted in issuing library cards and collecting overdue fines. Selected to lead well-attended semi-weekly story times in children’s library. Willingly worked overtime and on weekends to ensure adequate library staffing. Get inspiration for your own resume by reviewing these sample resumes, including chronological, functional, and mini, as well as templates for resume writing. A cover letter typically accompanies each resume you send out. Your cover letter may make the difference between obtaining a job interview and having your resume ignored. Where a resume focuses on your work experience and accomplishments, a strong cover letter will make a connection between what the company needs and what you can offer. There are several different types of cover letters, including application letters, inquiry letters, referral cover letters, and prospecting letters. Here's where you'll be able to see examples of different kinds of cover letters used to apply for jobs or inquire about open positions. The body of your letter tells the employer what position you're applying for, why the company should select you for an interview, and how you will follow up. Grab the reader in your first paragraph with some specific information about the job you're seeking and a few core strengths that demonstrate your suitability for the position. Then delve into what you have to offer the employer by highlighting examples of the work performed and achieved results. Detail your knowledge of the company based on your research and the ways in which you can contribute to their goals. Finally, close the letter by suggesting a meeting or next steps. It makes sense to devote the necessary time and effort to write an effective, targeted cover letter. Your letter should convey how your skills and accomplishments will benefit the company. These tips will help you craft a cover letter that's a strong match for the job for which you're applying. You may review the cover letter sample below or download the Word template by clicking on the link. Also see below for more examples. Please accept the accompanying resume as a sign of my sincere interest in the School Librarian / Media Specialist position that has opened at Liberty Bell Middle School. As a school librarian with eleven years’ experience optimizing elementary and middle school library programs in Memphis, Tennessee, I can offer you strong capabilities in lesson and activity coordination, materials sourcing and acquisition, and student advocacy. Proven effectiveness guiding students in the use of library resources, instructional media, and educational technology. A proactive stance in developing supplemental after-school literacy programs for students and their parents. Annual success in planning book fairs and other major fund-raising activities that have raised thousands of dollars for library programs. A Master’s Degree in Library Science from the University of Tennessee, Knoxville and a valid Tennessee State Teacher certificate. Supporting the growth and welfare of young people through reading and literacy has been my life-long passion. Eager to return to my hometown of Johnson City, I would welcome the opportunity to meet with you to discuss my candidacy for this role in greater detail. Thank you for your time, consideration, and forthcoming response. With about 100 sample cover letters and templates to choose from, you will get plenty of guidelines on how to write the perfect cover letter for your situation, regardless of your occupation and employment situation. When you've finished perusing the step-by-step guide, you'll have a resume and cover letter(s), which will be polished, professional, and ready to send to prospective employers.